Wahl, Oster and a Remington cordless will be your best bet for reliable, easy to use hair clippers, but ToiletTree is tops for trimming nose and ear hair. We review every type of clipper from pricey kits with loads of accessories, to basic, professional-grade clippers that will give you quite the buzz (cut). If you're feeling a bit nervous about trying to cut your family's hair for the first time, the Wahl Color Pro Haircut Kit should be a no-brainer. This 20-piece kit offers easy, step-by-step instructions for getting started, and the color coded combs men that you'll never accidentally buzz when you meant to fade. The adjustable taper control offers a professional-looking finish and all parts store in the included case. 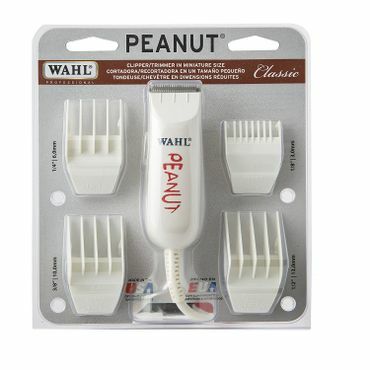 No portable hair clipper gets the kind of love we see for the Wahl Professional Peanut. Although it's a great choice for travel, plenty of home barbers prefer its smaller size, either because they have smaller hands, or because they feel it's a better fit for giving haircuts to small children. The Peanut includes four combs, which some use for shaving or beard trimming, and works well even on thicker hair. If you want a pro-grade pair of clippers at a very reasonable price, look no further than the Oster Fast Feed. Sturdy and powerful, this clipper is s staple in professional barbershops for its ability to stand up to heavy use for years. In testing, its sharp blades result in clean, smooth cuts with no pulling. The Fast Feed is very quiet and doesn't heat up even after hours of use. 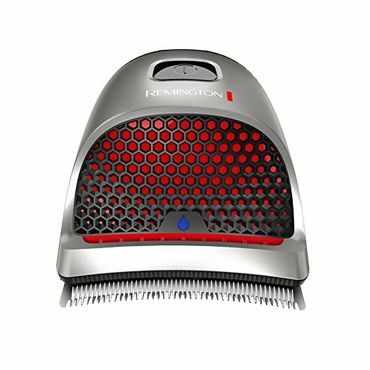 The Remington HC4250 cordless hair clippers are a good choice for basic hair clipping duties at a very reasonable price compared to other cordless models. Experts and users say its 40-minute runtime is plenty for most trim jobs, and it's compact enough that it's comfortable to hold and use even for that full runtime. The kit includes nine combs, a cleaning bush and oil, and a travel pouch. The ToiletTree Professional Heavy Duty Nose Hair Trimmer is beloved by thousands of happy owners who say it's extremely easy and comfortable to use. The octagonal blade is sharp enough to truly cut, not pull, your delicate hairs. This ToiletTree trimmer comes with a lifetime replacement warranty, but most say you'll never need it because the sturdy steel casing is so durable that it lasts for years. This is the most powerful and versatile type of hair clipper you can buy. Most include a variety of combs (and more are often available as an optional purchase), cleaning supplies, and a bag or case for storage. The best also either include a clear instruction manual with tips for specific cutting tasks, or have a website with that information -- often in video form. Corded hair clippers run the gamut of sizes, prices and power, and include cheap, portable and professional models. Many home barbers love cordless hair clippers because they aren't tethered to a cord. That's great for moms who want to cut the kids' hair in the backyard, or for people who don't want to have to step around a cord when cutting hard-to-reach areas of their body. Of course, it takes time to charge them -- sometimes a couple of hours -- and they have a limited runtime, whereas corded models run as long as you need them to. Nose and ear trimmers are shaped to insert in your nostrils and ear canals, but designed so that the blade never comes in contact with your skin. These are a much safer choice than trying to use scissors for keeping unruly hairs under control. Some hair clippers come with nose trimmer attachments, but if you only need the trimmer, there's no need to invest in a clipper as well. It might be intimidating to think about cutting someone's hair -- or your own -- if you're not a professional, but, in reality, it's not as difficult as you might think. While some super stylish hairdos may not lend themselves to a session with a hair clipper, many other styles really don't need much more than a fairly steady hand and a good guide. And your best guide will be a good hair clipper. Learning how to use one can save you quite a bit of money, as well as time driving to the barbershop or salon, waiting your turn, and paying for the gas to get you there. Unlike electric shavers and razors, which we cover in separate reports, hair clippers don't shave. Instead, they trim, using paired, toothed blades that vibrate back and forth; the teeth act like many tiny scissors, all lined up side by side to give you a quick, efficient haircut. Comb attachments and adjustable or interchangeable blades help cut hair at different lengths; some clippers can cut hair from about an inch long to as short as half a millimeter. We also evaluate trimmers specifically for nose and ear hair. Meanwhile, if you need to trim your beard, head over to our separate report on beard trimmers for some specific recommendations. "The Best Hair Clippers for Home Use"
"8 BEST HAIR CLIPPERS IN 2018: AS WE TESTED THEM"
There are a couple of sites that we found useful in our evaluation of the best sources for hair trimmers. Those include Wirecutter, which evaluates hair clippers both as a standalone report, and for their beard trimmers roundup as well. HairClippersClub, a site that is run by two knowledgeable hair clipper enthusiasts, does a good job of looking at the pros and cons of a wide variety of hair trimmers and making recommendations in a number of categories. However, due to the dearth of other expert testing sites, the bulk of our input comes from thousands of user reviews posted to retail websites like Amazon, Walmart, Best Buy, Sally Beauty, Walgreens and Target. Owner reviews are particularly helpful in evaluating ease of use, an important consideration because if you can't figure out how to use your new clipper, it won't do you much good. If you have multiple heads to keep trimmed and like to see at a glance which blade is which, reviewers say the Wahl Color Pro Haircut Kit (Est. $20) is going to be your best bet. It's a multi-cut clipper set with combs that are color coded so you can figure out what length each comb cuts without having to memorize fade sizes. Users love this feature, and many say they make separate notes to keep with the clipper reminding them which comb they used last on which family member. The Wahl comes with a storage case for all of its attachments, which include 11 guide combs, scissors, two styling combs, blade guards, a cleaning brush and blade oil. 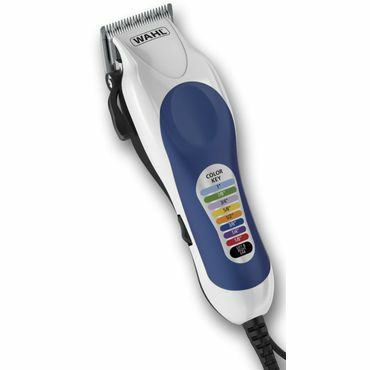 The Wahl Color Pro is also very simple to use, reviewers say, with an easy-to-follow instruction book included. If you need more guidance, the Wahl website features a series of helpful videos to walk you through every step of the process. The combs are also reported as easy to change. Many say this hair clipper kit is particularly well-suited for cutting children's hair, because it's very gentle and not too noisy. There are a few who say it vibrates too much, but those complaints are definitely in the minority. In fact, we saw quite a few comments from pet owners who say they use it to help them groom their dogs or cats and it doesn't faze the critters in the least when it's running. Although the Wahl Color Pro is not a heavy-duty, professional grade clipper, owners say it feels very sturdy in the hand and is light enough to not cause fatigue. Of course, there are outliers who say it is too heavy but, again, these are in the minority. Many have come back to update their reviews after months or years to say their clipper is still going strong; we saw a few people mention that they bought a second clipper to keep at a second home. It costs a bit more, but the Wahl Chrome Pro (Est. 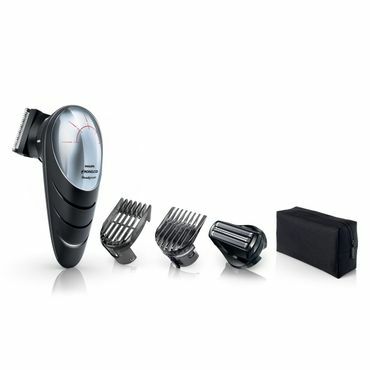 $40) also includes a cordless Mini-Clipper and as many clip-and-trim accessories as anyone could ever want for their personal grooming needs. That includes 12 guide combs as well as a cleaning brush, scissors, medium comb, barber comb, two hair clips, a blade guard, blade oil and a charger. It even comes with a cape, and everything stores in the soft-sided case. Most of the accessories that come with the Wahl Chrome Pro get kudos for their performance on hair, but many reviewers say there are just too many, more than they'll need in a lifetime. Others note that the cape is nothing but a piece of super thin plastic, more like a garbage bag than an actual stylist's cape, and that it tore after one or two uses. The cordless trimmer also gets pretty "meh" feedback, with quite a few reviewers saying it's very loud, but not very powerful. "Alex" at HairClippersClub agrees, saying that, although you get it practically for free, it's a disappointment. Still, if you want a sturdy, durable pair of clippers that can power through even thick or wet hair, users say the Wahl Chrome Pro's main clipper will do that. It's also super easy to use, even for first time home barbers, with simple-to-follow instructions. Owners say this hair clipper feels extremely sturdy in their hand, and they like that professional heft. While many clippers are targeted toward a variety of hair styles, those who shave their heads because they like the bald look have nothing but praise for the Wahl Professional Series Balding Clipper (Est. $55). It's a heavy-duty, corded clipper that comes with just two cutting guides, both intended for a close (head) shave. Users say it does the job smoothly and evenly, without any snagging, pulling or cutting of anything but hair. It does not shave as close as a razor; rather, users note, it shaves to a level that you would get from a razor cut after 24 to 48 hours after shaving (depending upon your hair growth rate), which is what most bald-hear wearers desire. It even works well on coarse, thick or curly hair. For the price, most agree, you can't find a better balding clipper. If you want something smaller than either the Color Pro or the Chrome Pro, no other clipper gets as much love from reviewers as the Wahl Professional Peanut Clipper/Trimmer (Est. $55). This small, corded trimmer measures just 4 inches long and weighs only 4 ounces, making it perfect for travel, or for those who have smaller hands and just prefer something lighter and easier to hold. Owners, especially those who cut a lot of children's hair, say the Peanut is quiet, doesn't produce much vibration, and is easy to move and maneuver. However, a somewhat smaller cutting blade also means you have to make more passes. Size notwithstanding, this petite Peanut can mow through thick hair easily. It includes four guide combs -- plenty, users say, for almost any basic haircut. Power, precision and speed are the most important qualities for a professional-grade hair clipper and the Oster Fast Feed (Est. $60) is a great, moderately priced choice. It's the upgrade pick at Wirecutter, where, in testing, it proved to be powerful and quiet with razors that are "sharp and easily replaced when needed." However, they note that there are only four combs included, many fewer than other hair-clipper sets. Wirecutter thinks that's too few, but many users say that's still more than they need. Additional guide combs are available for purchase separately. Unlike many other pro-grade hair clippers, the Oster Fast Feed is fairly light at only 1 pound, and is rather small in the hand, so can be used for quite a while without fatigue. It's also very easy to maneuver, with a supple 8-foot cord and user-friendly controls that make it simple to adjust while using. In spite of its smaller size, this is a clipper that is built to last a lifetime, and will hold up well to drops and heavy usage -- and it won't heat up even after hours of cutting. Most important, it cuts well, too, with smooth, clean cuts that won't pull or tug on your hair. Because it's professional grade, it can handle even curly, thick hair. Experts agree that the Oster Fast Feed is a great choice for a family that does a lot of home hair cutting. Last year's pick in this category, the Oster Classic 76 (Est. $120) drops to runner up status for this update both because of its much higher price and because of its weight -- 2 pounds compared to the Oster Fast Feed's 1 pound. Although that may not seem like much, it can get tiring to hold after a while and, in fact, we spotted more complaints about hand and arm fatigue in recent reviews than we saw last year. Still, if you can handle its heft, the Classic 76 has a powerful motor that cuts through even thick, curly or wet hair without flagging, and does it all with no pulling, tugging or nicking. The Oster comes with just two guide combs -- sizes 000 and 1 -- but there is a vast selection of optional blades available if that's not enough. While the prices of individual blades vary, users say they often purchase the Oster Professional 10 Universal Comb Set (Est. $25) when they buy the clippers. The clipper also comes with a blade guard, lubricating oil, clipper grease and a cleaning brush. The Oster Classic 76 is a popular tool not just for the home barber, but in professional salons as well. Plenty of stylists review the Classic 76 on sites such as Amazon, saying that it's as smooth and tough as anything out there. However, all that power comes with some downsides in addition to its heft and weight: the Oster Classic can get away from a beginner and it's on the noisy side. If you'd like a wider range of accessories, but still like a heavy-duty, professional grade hair clipper, we suggest taking a look at the Wahl Elite Pro High Performance Haircut Kit (Est. $50). This 17-piece clipper kit boasts a powerful motor and a sturdy-feeling, well-balanced body that makes it easy to keep it on track. The kit includes 10 guide combs, two styling combs, a cleaning brush and oil, and a blade guard as well as a storage case to keep everything organized. 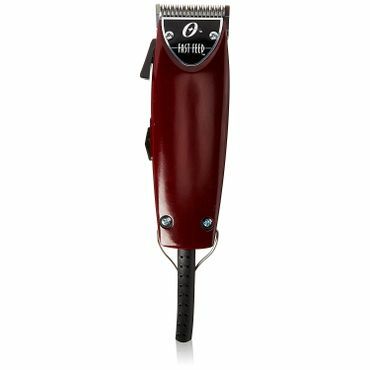 Users say the Wahl Elite has the heft of a professional hair clipper, and yet does the job with no tugging or uneven spots. It's particularly popular with those who have very thick or curly hair. Quite a few barbers review this Wahl, saying it works as well in their shop as much pricier hair clippers and lasts for a long time. A few note that the hair clipper is loud, but most say it's no noisier than any other type of trimmer. The Wahl Elite is the top pick at Wirecutter, but didn't make our top spot because of its limited availability. Although the manufacturer says it has not been discontinued, it's out of stock there and at most other retail sites. If the manufacturer lays in a new supply, we might elevate it to Best Reviewed status because it is a quality choice. While few professionals are big fans of cordless hair clippers, the Remington HC4250 (Est. $50) gets good reviews as a basic, cordless choice from the experts at HairClippersClub. They note that it's wider, curved comb design makes it comfortable to use, and it does the job more quickly that traditional combs. At just over six ounces, it's extremely light and won't cause hand fatigue even over extended usage times, users say. The Remington HC4250's lithium-ion battery gives you 40 minutes of run time, and most say that's plenty of time to do all their grooming. Those who use this hair clipper for body-grooming tasks say they appreciate that they don't have to wrangle a cord to get to where they need to trim. It comes with nine guide combs, cleaning accessories and a storage pouch. 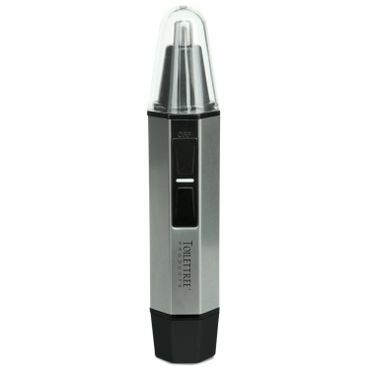 Unlike many hair clippers, the HC4250 is washable, which makes it very easy to clean -- just run it under the faucet. It can't be used as a corded clipper. It's more expensive, and doesn't get near as many reviews overall as the Philips Norelco, but those who do offer feedback on the Wahl Sterling 4 Hair Trimmer (Est. $105) rave about this cordless hair clipper. It boasts a longer, 75 minute run time, and users say it feels lightweight and comfortable to use, while performing like a heavy-duty unit. Plenty of barbers say they've traded in their corded units for this model, and are happy that they did. Of course, in a busy barber shop you need to either invest in several of these or use it plugged in, so that negates some of the convenience of a cordless clipper. Still, the kit that comes with the Sterling has pretty much everything you might need, say users, including eight guide combs, cleaning and maintenance necessities, and four color insert chips to personalize its look -- a plus if you need to mark yours in a salon-type setting. Oster Professional 10 Comb Set Specially Designed to Fit Oster Clippers. Enough length options to suit your needs. Durable guide combs that stay put.